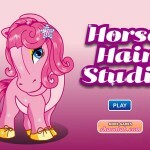 Tags: Best, Cool, Girl, Grooming, Horse competitions, Horse jumping, Kids, Realistic, Riding, Show jumping, Take care of horses. If you’re desperate to own a horse, My Horse is the next best thing! Dan the stable hand introduces you to a gorgeous chestnut horse named, Beauty. He guides you all around the app and how to care for your new friend. He first gives you Beauty’s care journal with everything you need to take good care of her. Once you learn, you can do everything yourself. Dan helps you mix Beauty’s food. I mostly fed her the free food, 3 parts barley and oats, which is a lot of fun to pour out into a blue bucket and mix with your finger directly on the screen. I love the fact that the app is extremely easy to use with so many different functions. You can groom, wash, ride and compete with your horse. There is even a paddock cleaning game, and you can change the rider’s face to look just like you. My Horse’s strongest appeal is its attention to fine details. The graphics all look very bright and real. When you’re outside giving Beauty a treat, you hear birds singing. Your horse moves around very naturally and even her tail swishes around. Her feet make clopping sounds when she walks to you or when you’re riding her. And there’s even a munching sounds for when she’s eating. The only downside in the game is the competitions. I really enjoyed training my horse to jump and other challenges, like pole work. It’s really easy to perform jumps by pressing a button as a colored bar moves at the bottom of the screen. When it goes into the blue area, you press the button. But when it’s time to compete, you only perform a few jumps, and then you don’t see the rest of the competition. And you have to wait sometimes 30 minutes to get your results. 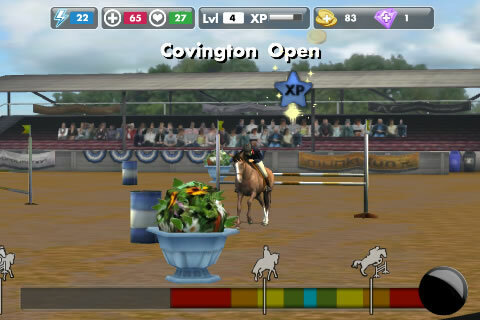 I suppose the app doesn’t have enough memory, like a bigger game such as Star Stable, to show the entire competition. Also, my mom gave me a strict warning me about playing this app. Her friend’s 3-year old got hooked on the game and spent over $200 on in-app purchases. When my mom’s friend took the game away, her little girl wouldn’t stop crying. So, I was really careful to wait patiently and not get tempted to buy extra coins. On the upside, you do get to wear a cute riding outfit that’s different than your training clothing. There’s a cool feature of taking pictures of your horse from nearly any angle with an easy to use camera function. Then, you can share the pictures with your friends through email, Facebook or Twitter. And you can invite your friends to play with you. Even with the lack of competition footage, I still love this game. 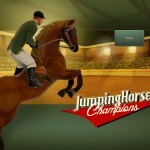 I think it’s the best horse game for the iPhone and iPad. It’s so realistic with so many functions. Awesome game! Great graphic’s! Well worth the experience with this! I play on my tablet! I love this game, however I think the makers should make more competitions. my username is Yanastarponyz, and I have 3 horses. Great game! Very good game! 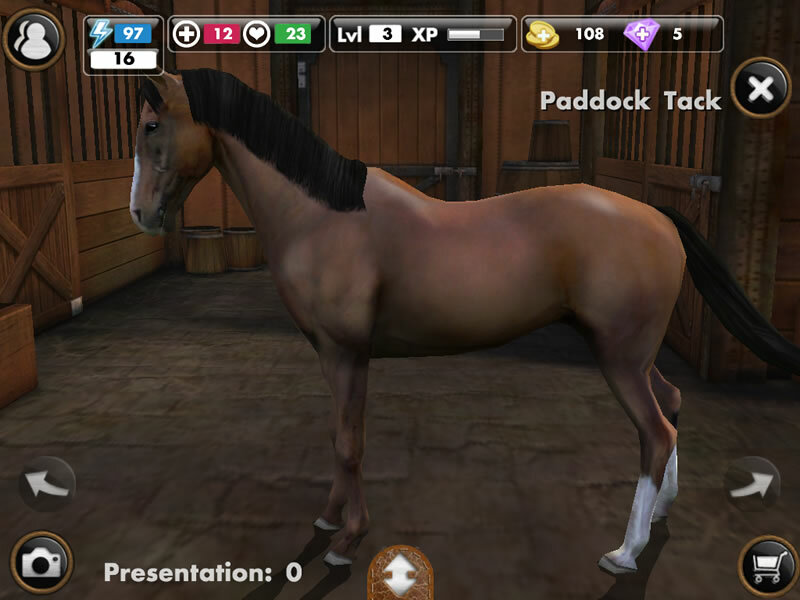 Its probably the best virtual horse game app you can get! 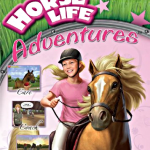 I’m pretty sure that the main idea of this game is that you have your own horse stable and you get to (obviously) take care of your horse (like: feed,groom, stuff like that). 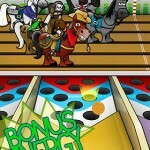 You can also enter in horse races and agility courses (or whatever you call them :)) In the game there are 2 different types of money: coins and gems. You can easily get coins but you can buy better things at the shop with gems. You can earn gems by doing little tasks that you will be assigned. You can by cool things for your horse (example: rainbow hair colouring or a stylish new blanket). Throughout the game you will level up and when you level up there is even more fun things to do. There is only one bad thing about the game though. That is that the game can get boring so i recommend that this is not the type of game you go and play for a long time or every day. The game will eventually be less boring as you level up. But plz don’t focus on the bad thing that i said about this game because this really is a good game overall! Sorry about that long description XD!!!! 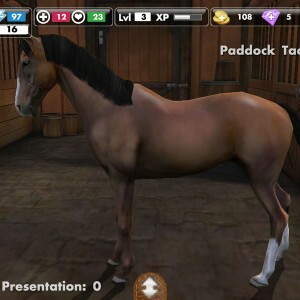 Its a really fun game for someone who wants to own a horse. When i downloaded this I thought it would be boring… but its the BEST GAME EVER!!!!! Its so dang fun! It is a good app i mean you get to do real things like what you would have to do in real life!! !